Akshay Kumar is living proof that you don't need to work 365 days in a year to be rich, successful and respected! 1. 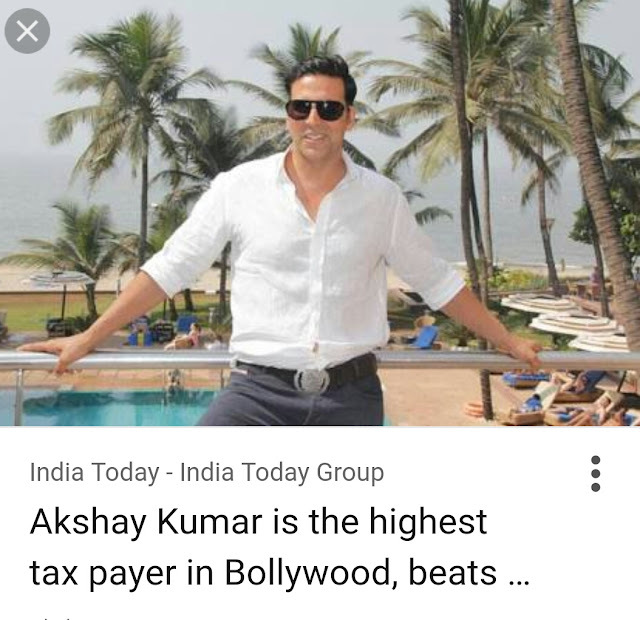 HIGHEST ADVANCE TAX PAYER FROM THE HINDI FILM INDUSTRY. 2. HIGHEST HOLIDAY TAKER FROM THE HINDI FILM INDUSTRY. Rest helps you give your best. Just don't always focus on Working. As for earning even while you take Rest.....there is MUTUAL FUNDS!!! There is SRIKANTH MATRUBAI to ensure your LACS escalate to CRORES to BILLIONS to ZILLIONS! !